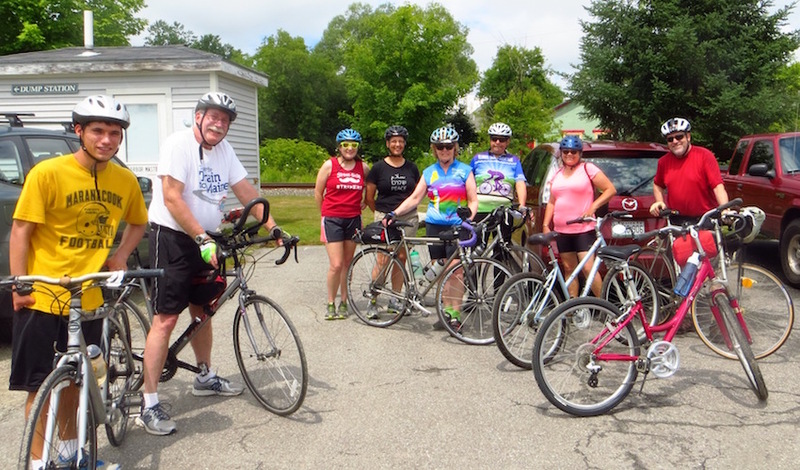 The Merrymeeting Trailblazers of Kennebec Estuary Land Trust is hosting its 7th Annual Explore Merrymeeting Bay Bike Ride. This year the ride will feature tours of the many farms and studios along the trail route during Bowdoinham’s Open Farm Day and Art Trail 2018. Rides will start from Mailly Waterfront Park in Downtown Bowdoinham. There are three scheduled rides of different lengths with leaders. There will be also be maps and queue sheets available in the park for anyone interested in exploring on their own. Experience – Enjoy the rich farmlands of the Merrymeeting Bay region while stopping to talk to the farmers and try samples of their products. Visit some of the artists studios that which have earned Bowdoinham the title of “The Craftiest Town in Maine.” At the end of the day enjoy a barbecue of the produce from the local farms. More details and brochure available at www.bowdoinham.com. 14 miles – Leave at 11 am for a tour of Bowdoinham’s Forever Farms. This ride will be led by Maine Farmland Trust staff and is good for beginner & intermediate riders and those interested in learning more about farmland protection in one of the richest farming areas in Bowdoinham. 24 miles – Leave at 9:30 am for a tour of coastal and inland farms in Bowdoinham. Follow the interim route from Bowdoinham to Richmond and return through the middle of Bowdoinham visiting farmers raising a wide variety of vegetables, fruits and animals. 35 miles – Leave at 10 am for a tour of Bowdoinham, Richmond, and Topsham. Includes the potential alternate route for the trail along Cathance and Fisher roads. Visit Topsham’s new Head of Tide Park and return along the southern interim route to Bowdoinham. Cost – The bike ride is free! $12 for barbecue, $8 for kids, and $4 for desert. Pre-registration for ride or barbecue is not required but much appreciated for planning purposes. Click here to register. Contact Ruth Indrick for more information.